Want to tune in and watch the 2018 Victoria’s Secret Fashion Show online? Using a Virtual Private Network (VPN) you can watch it abroad, from the US, the UK, Canada, Australia, France, Germany, Japan, and anywhere else in the world. In this post, we’ll explain how you can stream the Victoria’s Secret Fashion Show online from anywhere and the best VPN to use. Although the live show is set to happen in New York on November 8th, it won’t be streamed live, and won’t be aired on TV or online until Sunday, December 2nd at 10PM ET (7PM PT). There are various broadcasters with rights to the show, but many geo-block their content, preventing you from watching from outside the broadcast region. Thankfully, a VPN can help. This will encrypt your traffic and tunnel it through an intermediary server. This means you can mask your real lP address and replace it with one from a location of your choice. As a result, you can unblock geo-restricted services and watch the VS Fashion Show from anywhere. Even if you can access the show from your current location, ISPs often throttle your internet connection when streaming, making for a frustrating experience. With a VPN, they can’t see what you’re doing so they have no justification for throttling. Read on to find out how to use a VPN to stream the show and which channels provide live streams. ExpressVPN is our recommended VPN provider for streaming the Victoria’s Secret Fashion Show. It operates a network of more than 2,000 global servers spanning 94 countries and is capable of unblocking a range of streaming platforms. What’s more, it’s servers are optimized for speed, make it ideal for enjoying HD video with no lag or buffering. If you have any issues with setup, streaming, or any other activity, ExpressVPN’s customer support team is available around the clock to help. This provider takes security and privacy very seriously, so you’ll never have to worry about anyone snooping on your online activity. Apps are available for Linux, Windows, MacOS, Android, iOS, and select routers, and are very easy to set up. All you need to do is choose your subscription length (one month, six months, or twelve months) and submit payment. You then have a generous 30-day trial period during which you can get your money back at any time. RISK-FREE DEAL: Opt for a one-year ExpressVPN subscription and save 49% plus get 3 months extra free. Read our in-depth review of ExpressVPN. Sign up for your chosen VPN provider. 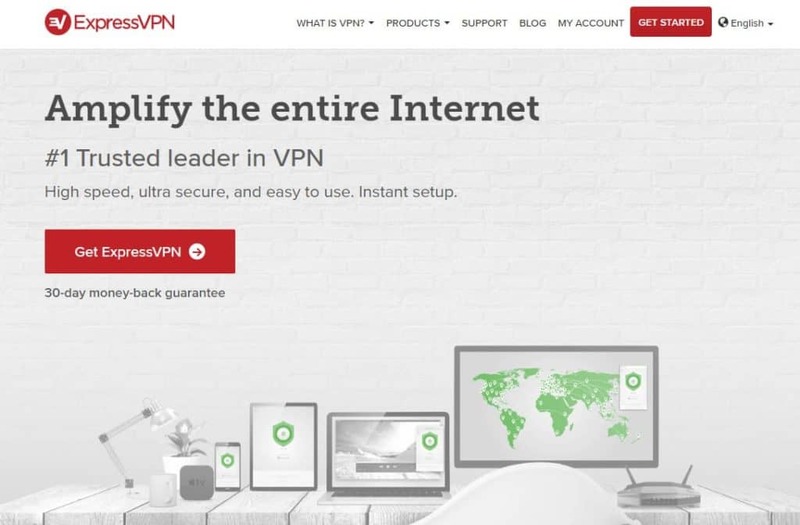 We recommend ExpressVPN but some great alternatives are NordVPN and CyberGhost. Download and install the correct app for your device and log in with your VPN username and password. Connect to a server in the appropriate location. For example, for ABC, you’d connect to a US server. Locate your desired stream and you should be able to watch without issue. Although setup should be quick and painless, issues can arise at times. Therefore, it’s a good idea to test a video well before the fashion show stream starts, so you’ll have time to iron out any problems. Broadcasters in various parts of the globe will be showing the fashion show online. Here are some of the ways you can watch. Last year in the US, CBS had the rights to broadcast the VS Fashion Show, but this year, it’s returning to ABC. The channel also live streams content online via ABC Go. To access this content, you need to log in with US cable provider credentials. Alternatively, you can use an over-the-top provider, such as Hulu, PlayStation Vue, DirecTV Now, or YouTube TV. However, even if you have a US cable or over-the-top service subscription, you won’t be able to access any ABC content without a US IP address. If you find yourself in this situation, for example, when traveling abroad, just connect to a US VPN server and you’ll be good to go. Note that many over-the-top services offer free trial periods, so by taking advantage of one of these, along with the ExpressVPN money-back guarantee, you could watch the fashion show completely free. Canada’s official VS Fashion Show broadcaster is Global and this provider also streams content online. To access it, you’ll need to sign in using credentials from a Canadian cable provider. If you’re traveling outside Canada and want to access the stream, you can do so by connecting to one of your VPN’s Canadian servers. Last year, the HayU streaming app provided UK viewers with a stream of the Victoria’s Secret Fashion Show, although it’s yet to be announced if the same will be happening this year. This app is also available in Ireland, Australia, Canada, Sweden, Denmark, Norway, and Finland. In Australia, Channel 9 was the designated broadcaster of last year’s VS Fashion Show, but as yet, no broadcaster has been announced for this year’s show. It’s anticipated that it will be picked up by a local network, so that anyone with an Australian IP address will be able to watch. Can I use a free VPN to stream the Victoria’s Secret Fashion Show? If you browse online for VPN providers, you’re bound to come across a ton of free offerings. Getting something for nothing is always tempting, but in this case, it’s not the most savvy choice. Free VPNs typically have lots of subscribers and few resources to cater to them. For users, this translates to slow connections, wait times for servers, and poor unblocking capabilities. Additionally, many free VPN business models involve the insertion of annoying ads while you browse. That’s just the practical side of things and free VPNs put on a poor show when it comes to privacy and security, too. These providers often have vague or misleading privacy policies and are well-known for collecting user information and selling it to third parties. As far as security goes, don’t expect too much from a free VPN. A study found that some don’t encrypt your information and others intentionally infect your device with malware. Who will be walking in this year’s show? There has always been much secrecy surrounding the selection process for models walking in the show. However, in recent years, the brand has embraced the power of social media and started releasing a few additional details via platforms like Instagram. For example, last year, two casting videos were released that showed the casting call format, involving all prospective models walking the catwalk in black underwear. While hundreds of hopefuls try out for the highly-esteemed fashion show, only a small percentage (around 60 models in total last year) will ultimately make the cut. Some of those confirmed for the 2018 show include Winnie Harlow, Adriana Lima, Kendall Jenner, Bella and Gigi Hadid, Barbara Palvin, and Behati Prinsloo. Many models have taken to Twitter, Instagram, and other social media platforms to express their excitement at having been selected. What else can you expect from the show? One of the highlights of every show is the fantasy bra, which will be modeled this year by Elsa Hosk. She will be returning for her eighth show and donning a $1 million one-of-a-kind creation that includes more than 2,000 Atelier Swarovski diamonds. But this event is more than a showcase of underwear. A team of artisans work on the show to create wowing and elaborate costume pieces, and the whole event has a party atmosphere. Every year, the models walk the runway to musical performances by some of the hottest global talents. This year, the star-studded lineup of guests includes Halsey, Shawn Mendes, and Rita Ora.